It is almost a “must-see”. Both when it comes to birding and scenic views. The Aladaglar Mountains. I went there in june 2011. Several people had told me about the place, where you can see caspian snowcock, wallcreeper and lots of alpine species. I got in touch with Hasan Sakaf. He agreed to take me birding for a whole day in the mountains. So the possibility for some 10 new species gave me the will to get up at one o’clock in the night and drive to Aladagar. At four Hasan started his tractor and I got to sit on it while we drew to the caspian snowcock-place. The bumpy ride took some 90 minutes, but just seconds after arrival we heard the first bird and after a while we saw one bird. It was far away but we saw it reasonably well in the telescope – but way to far away for a good photo, but I documented the bird non the less. 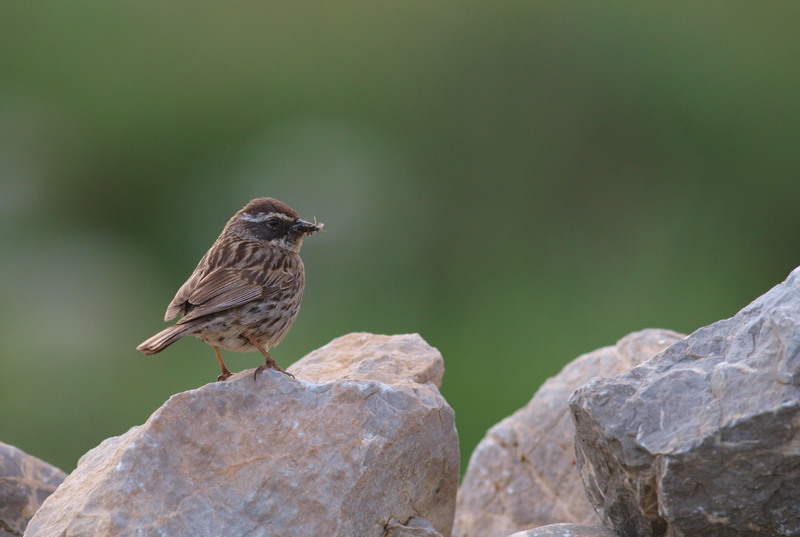 Other good birds included the lifers radde’s accentor, red-fronted serin and crimson-winged finch, while other birds included chukar, alpine accentor, lots of snowfinches and choughs. After about two hours we started decending and on the way down we saw 4 finches wheatear, one more red-fronted serins and some rock-thrushes. 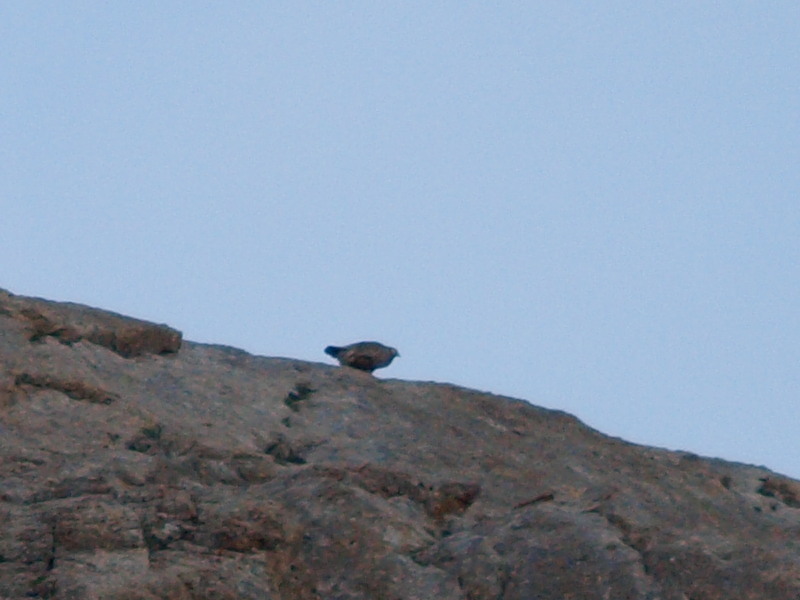 According to Hassan the wallcreepers have got further up the mountains now. We then had breakfast at his house and after some hours of resting we went to a valley, where there should be olive-tree warbler, saker falcon and more red-fronted serins. 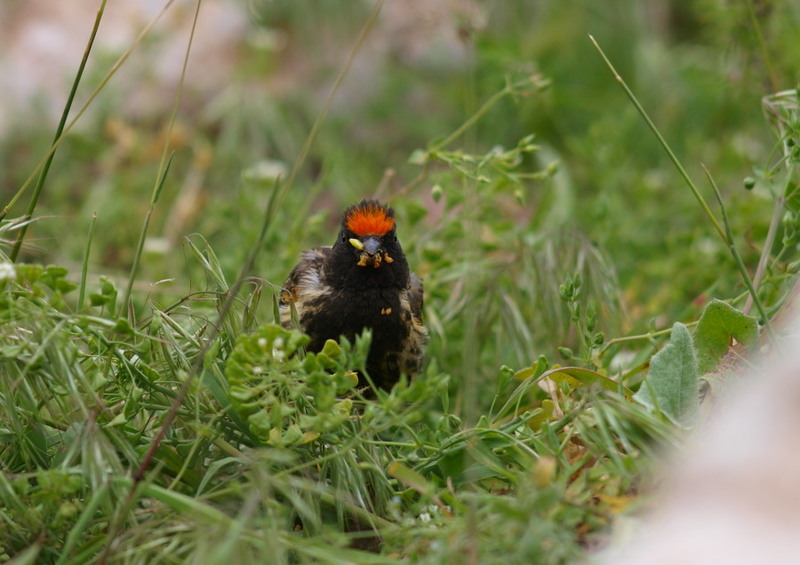 We only found the serins, but they gave supreme views down to 3 meters distance. 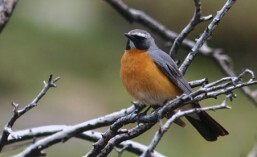 Other good birds included eastern orphean warbler, white-throated robins, barred warbler and hoopoe. 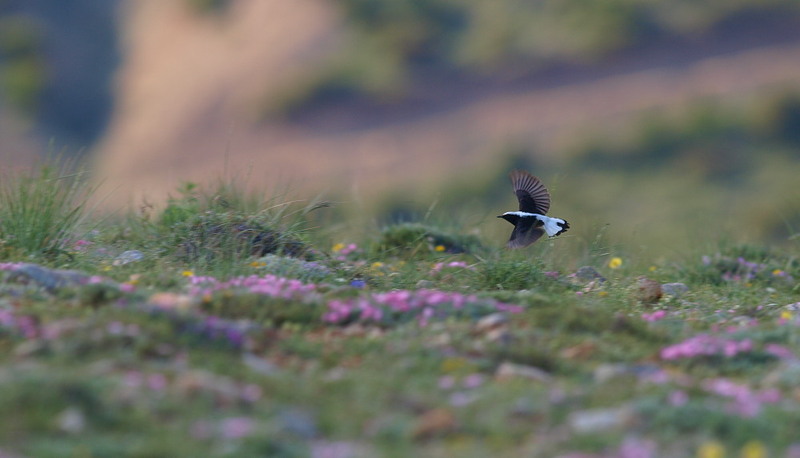 All in all a very good day with five lifers – and some of the most amazing sceneries I’ve ever seen!